The difference between Bill Clinton’s speech on Wednesday night and Barack Obama’s last night was that of the philosopher/statesman versus the politician. It was back to business as usual as Barack Obama accepted his party’s nomination for president. In her remarks yet the night before Michele Obama had painted a picture of her husband as a profound thinker who, when all is said and done, has repeatedly been placed in the position of making solitary judgements. Of course, these kind of liminal matters, which require a kind of shooting from the hip, that transcends charts and facts and advisors, are the province of all presidents (in this regard it’s interesting that a rationalist like Obama has been reported to be reading Nobel prize winning economist Daniel Kahneman’s Thinking, Fast and Slow in which subliminal messages play such a large role). 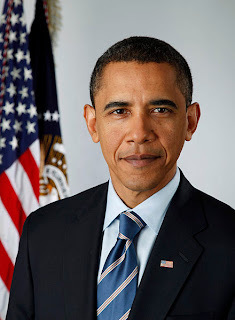 In his Op Ed piece yesterday, (“Obama’s First-Term Report Card,” NYT, 9/5/12), Nicholas Kristof gave Obama an F in communication saying “He has not made the case for his policies, nor has he comforted the nation as Franklin Roosevelt did in his fireside chats.” Maybe that’s the problem. Clinton is almost evangelical and has a gravitas that Obama can’t seem to muster. The message is basically the same. The problem is the messenger. When you see Clinton in the Obama for President ads, you want to re-elect the former president.